A composite resin is a tooth-coloured plastic mixture filled with glass (silicon dioxide) first introduced in the 1960s. Originally only used for front teeth because of their softer nature, modern improvements to their composition make them suitable for most areas of the mouth today. Composite fillings are more difficult to place than silver fillings so may take your dentist 15-20 minutes longer to complete and because they are a cosmetic treatment, they are not available on the NHS and must be paid for. 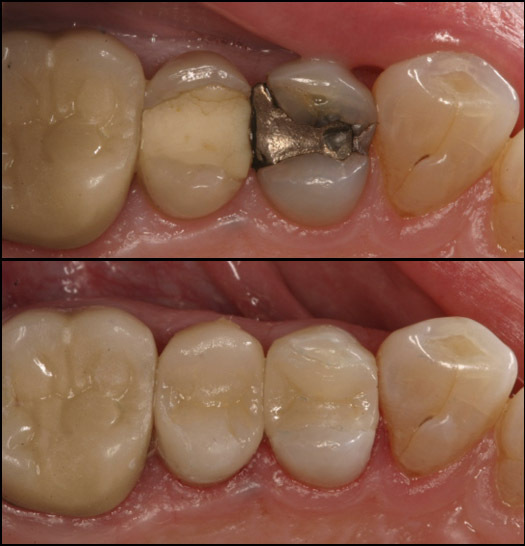 Dr Khangura is often asked to replace old silver/amalgam filling with modern composites for aesthetic reasons.